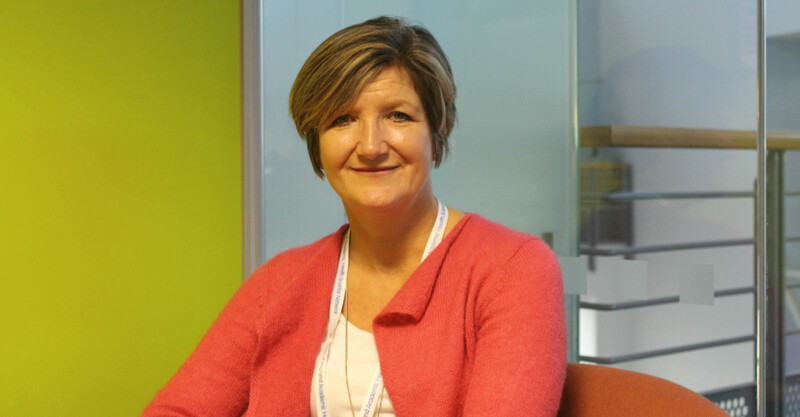 Clare Evans manages the Innovation and Technology Payment scheme at the West of England AHSN, helping the NHS adopt a range of new innovations into practice. Our Communications Officer, Lauren Hoskin, caught up with Clare to find out about her work, and which innovations she’s working with at the moment. What’s your role here at the West of England AHSN? I’m the programme manager for the Innovation and Technology Payment (ITP) scheme here at the West of England AHSN. It’s quite a new initiative being funded by NHS England to fast-track innovation into the NHS. So they’ve identified a range of products that not only provide better outcomes for patients, they also provide quite significant cost savings. Can you give an example of these innovations? One that has been very well adopted over the last year is SecurAcath. It’s a small bit of plastic, probably no bigger than a 50p coin, which helps secure catheters into place for people who need lines put in for chemotherapy or for nutrition. Otherwise, when these people do certain activities like knitting or playing the guitar then that repeated movement in their arm may cause the line to dislodge, which can be very uncomfortable and take up time to x-ray them and re-position the catheter. SecurAcath been really well received. And it’s quite an easy one to spread as it just takes nurses to change their practice rather than a whole system-wide change. How does this make a difference to healthcare? ITP gives organisations the opportunity to try different products. Particularly at times when the NHS is under so much constraint, clinicians might hear about these new products at conferences or in a journal, but it’s hard to find the head space to really think about making those changes. So we’re working with them and their business managers to provide extra support and incentives to get things going. We also have contacts across the AHSN Network who have created toolkits and guidance, and have tested things out before us so can let us know what works best. How do you spread the word about these innovations? We have connections into all our member organisations through the link director network, so this connects us to mostly executive level directors. Depending on the innovation, we’ll work with different local health care providers; this might be at an acute hospital or it might be a community provider.